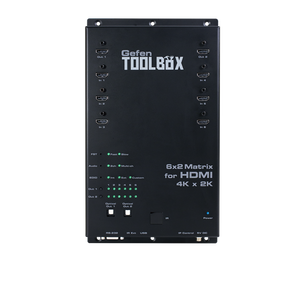 This driver allows you to control a supported GEFEN HDMI matrix switch (up to 8x8) from Control4. HDFST: support is provided for the GEF-HDFST-848-4ELR, GEF-HDFST-848-8ELR and GTB-HDFST-848. HD4K2K: support is provided for the GTB-HD4K2K-442, GTB-HD4K2K-444, GTB-HD4K2K-642 and GTB-HD4K2K-848. IMPORTANT: ensure your matrix switch is at the most recent firmware level. Use the free trial period or activate the driver at any time by assigning to this project the license you purchased from the driverCentral website (requires the driverCentral cloud driver). 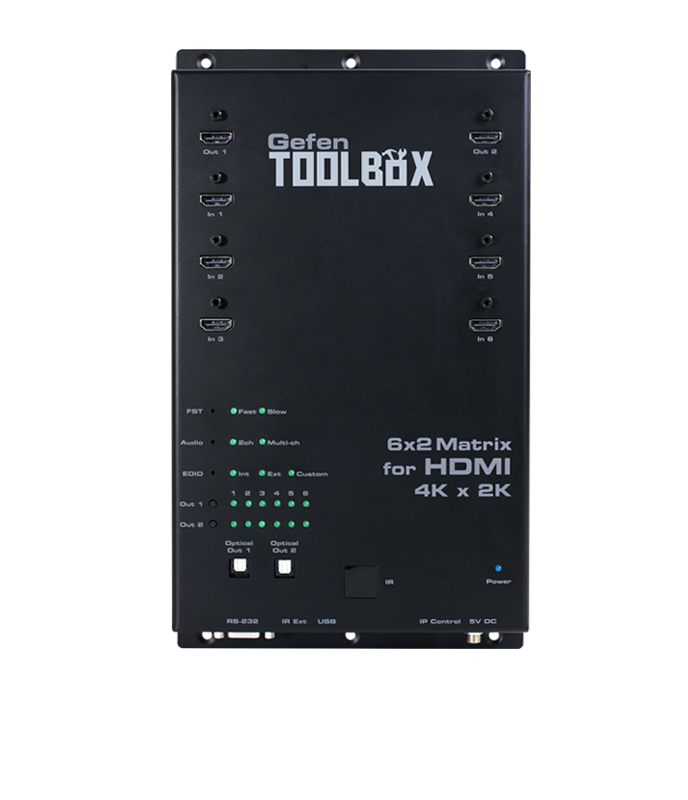 Ensure the GEFEN switch firmware is at the most recent level. Select the right GEFEN Matrix Model property. THIS IS IMPORTANT, as models have slightly different commands and responses. When using IP control, set the GEFEN switch to a static IP address or ensure it always receives the same IP address from the DHCP server via a MAC-based reservation.Enter the IP address in the Connections area. 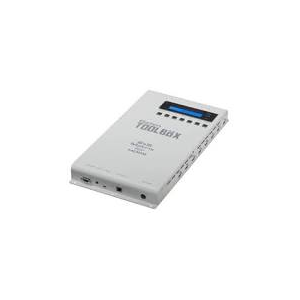 When using Serial control (by itself or as a backup to IP control), make the appropriate Serial connection. If both are connected and IP fails, the driver will use serial and revert back to IP when restored. Connect the HDMI inputs and outputs as well as room controls as appropriate. If your actual matrix switch supports less than 8 inputs or outputs, connect only the appropriate bindings, starting at 1 (or A).